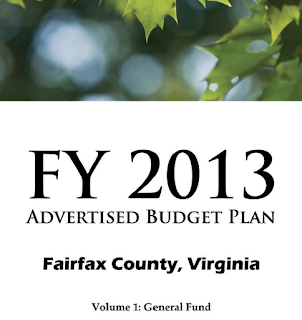 Fairfax County is in the process of developing the budget for the coming year. One of the Board of Supervisors main priorities is an "Efficient transportation network: Fairfax County makes it a priority to connect People and Places. We will continue to plan for and invest in transportation improvements to include comprehensive bicycle and pedestrian initiatives, bus and para transit, road and intersection improvements and expansion of Metrorail and VRE." Bikecommuter : Two years ago the operating funds were cut from the Bicycle Program. It's not possible for the county to have an effective program without operating funds. More and more people are choosing to use bicycles for transportation, especially as the price of gas hovers around $4/gallon. Were the Bicycle Program operating funds reinstated this year and if not, why not? Anthony Griffin : No, we have not had the capacity in our budget to fund the restoration of previously cut programs and services. What could be done with Bicycle Program funds? Installing signs on and repaving of the Fairfax Co Parkway Trail, placement of Shared Lane Markings on bike routes on narrow roads, support for events like Bike to Work Day, a bike sharing pilot project, basic functions like printing the bike plans and the draft bike parking guidelines, striping bike lanes, installing bike parking; the list could go on. We can't have a Bicycle Program without funds. The Tysons Bicycle Plan was completed over a year ago and still sits on a shelf. Actually it hasn't even been printed because of a lack of funds. We paid $14 to print our copy at Kinkos. The Countywide Bicycle Plan will be finished this summer and could meet the same fate. Despite all the good work that is going into developing these plans, they mean nothing if there are no funds for getting them approved and implemented. Your voice can be heard. If you think Fairfax should have a funded bicycle program, please consider attending one of the upcoming budget town hall meetings in your district. If the Board does not hear from us, there will be no funding for the bike program or bike projects. You can also write to the Board of Supervisors and ask that Bicycle Program funds be included in the budget. Mason District Spring Town Meeting Mason District Government Center – Main Community Room – 6507 Columbia Pike, Annandale Wednesday, March 14 - 7:00 p.m.
Braddock District Kings Park Library, Braddock Hall Wednesday, March 14 - 7:00 p.m.
West Springfield Government Center - conference rooms 9/10 Thursday, March 15 - 7:00 p.m.
Braddock District Canterbury Woods Elementary – Cafeteria – 4910 Willet Drive, Annandale Monday, March 19 - 7:30 p.m.
West Springfield West Springfield Governmental Center Monday, March 19 - 7:00 p.m.
Providence District Council Dunn Loring Center - 2334 Gallows Road Tuesday, March 20 - 7:30 p.m.
Sully District Rocky Run Middle School - Cafeteria - 4400 Stringfellow Road, Chantilly Thursday, March 22 - 7:00 p.m.
Hunter Mill Budget Meeting Reston Community Center (Rooms 3 and 4) Saturday, March 24 - 10:00 a.m.
Dranesville District Ingram Council Chambers (Halls B and C) - 765 Lynn Street, Herndon Monday, March 26 - 7:00 p.m.
Braddock District Robinson Secondary School – Gold Cafeteria – 5035 Sideburn Road, Fairfax Wednesday, March 28 - 7:30 p.m.
Sully District Council Sully District Governmental Center - Front Meeting Room - 4900 Stonecroft Boulevard, Chantilly Wednesday, March 28 - 7:00 p.m.
Lee District Association Franconia Governmental Center Wednesday, March 28 - 7:30 p.m.
Dranesville District Great Falls Library - 9830 Georgetown Pike, Great Falls Thursday, March 29 - 7:00 p.m.
Hunter Mill Budget Meeting Vienna Community Center (Multi-Purpose Room) Saturday, March 31 - 11:00 a.m.
Dranesville District McLean Community Center - 1234 Ingleside Avenue Monday, April 2 - 7:00 p.m. I suggest contacting your Supervisor. It could be that those meetings were held earlier.